CPA marketing is one of the fastest growing modern marketing techniques. CPA techniques keep evolving from time to time keeping it relevant even in present times. You may want to test waters in CPA marketing as a product owner or an affiliate. Irrespective, you will need a good tracking tool to know about your progress. In today’s article, I will be reviewing one of the best CPA tracking tools in the market, Voluum. As soon as you log in to the dashboard, you will see a dashboard with all the important metrics. These stats aren’t specific to a campaign. They are the overall stats for all your campaigns. On the left-hand side of the dashboard, you can see a list of ‘campaigns’, ‘traffic sources’, ‘offers’ etc. 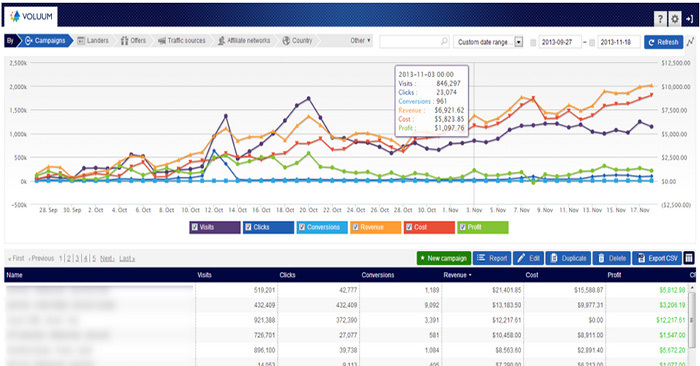 You can even filter the data on the basis of visits, clicks, conversions, revenue etc. For a more detailed view of your performance, you will have to get into the campaign tab which is situated on the main panel menu. Under this Tab, you will get all the details related to your current campaigns. If you want to know about the offers associated with the campaign, you will have to double-click on that specific campaign. You can view metrics like visits, clicks, conversions, revenue, cost, profit and also CPA related metrics like CPV, CTR, CR, EPV, and EPC. At the bottom of the table, you can see the overall performance inclusive of all the metrics. This gives you a clear understanding of all your campaigns from one place. Based on the metrics you decide which campaign is working well and work on the ones which are not performing well. Note what is different between the two campaigns. Implement some changes and measure the difference. If it is still not profitable then you have to take the tough call of discarding the campaign. All this data can be downloaded as a report which could be used for presentations and team meetings. This is where you can set the landing page details for your offers. Clicking on this will take to a list of ‘landers’ which are currently active. You can edit the lander by clicking on the option ‘Edit Lander’. You can edit details like Lander name, Lander URL, URL tokens (mainly used for tracking purpose). One can also add a country tag to group all the relevant tags specific to a country. With personalized tags, you can easily search for ‘landers’ at a later stage. This tab gives all the information about the traffic sources. These are the sources from which you are getting traffic to your offers. The information here will help you measure the effectiveness of your paid campaigns. Also, if you are getting any traffic from the search engines, the same will be reflected here. This tab is very important because it gives you an idea of the quality of various traffic sources. Based on the data you can decide on trying new traffic sources or optimizing your current offers for the audience. Then there are other tabs like flows, affiliate networks, conversions, country, connection, and devices. Each of these has specific data related to the headers. You can explore them on your own as they are easy to understand. Voluum has put together a very professional video section on Youtube to help a user to start his /her CPA/Affiliate campaign. It is very easy to set up and track campaigns using Voluum. Their one-click traffic source setup helps you easily add the traffic sources to your campaigns. They have a pre-made template for more than 20 traffic sources. You can track the costs/ profits on CPC, CPM and CPA basis. You even have the flexibility to manually add the cost. The data is secure as they use the same infrastructure which is being used by the banks. So, it is safe to say that your data on Voluum is as safe the data in our bank. In addition to all these options, the UI is beautifully designed and can be easily understood by beginners. There are many features which allow you to manage your campaigns exceptionally well. Flows give the flexibility of setting a particular path based on certain parameters. For example, you can direct a user from a particular country to a landing page which is in his/her native language. The data gets reported immediately and the wait time is zero. 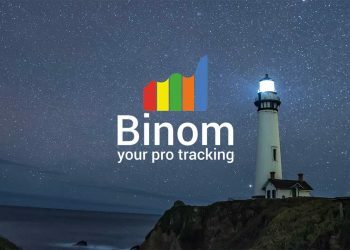 The real-time tracking feature allows you to get a view of the data instantly. Set up redirects easily, the quick redirection feature ensures that there is no click loss. You can access all the data as their API is open. This helps you to get an insider’s view of the data. As Voluum collects more than 20 standard data points, you can get a comprehensive view of all the parameters related to the campaign. If you still feel like adding more data points, you can add an additional of 10 custom data points. You can easily access all the data on the go with the Voluum mobile app. The Voluum database ensures that the data is served without any delay. They have implemented big data solutions to provide the best experience to the users. The reports they provide come with actionable insights which can result in better ROI if implemented. The advanced targeting feature allows you to micro-target the users. You can audience target based on the city and carrier they use. Added to the flows feature, the offer and landers can be subjected to A/B testing. The customer lifetime value feature allows you to track the actions taken by a buyer. Depending on the data, you can target offers to certain buyers. As more data is collected over a period of time, you can use this data to make use of the AI technology and automate the process. This allows you to invest more time in strategic decisions and lesser on tool processes. There is flexibility for manual changes also but great success has been reported with the Automate feature. The offer automation features ensure that more relevant offers are sent which maximizes the ROI. You do not have to manually keep track of the performance as the optimization is automated this way. Scale: As discussed earlier, scaling processes like optimization and management is easy as this comes with the machine learning capability. The strong server ensures that your data processes smoothly irrespective of the size. Their server infrastructure ensures 100% uptime so that you don’t have to be bothered about downtimes. You do not have to wait 24 hours to know what has happened with your campaigns. Voluum provides highly reliable real-time data which allows you to get a sense of your campaign within a few hours. This is beneficial because marketers can act on the available data and then take decisions without any delay. The ability to take quick decisions can help in avoiding potential loss due to a un-optimized campaign. Voluum takes security very seriously as the tool deals with data which can be critical to companies and marketers. They have to implement the highest grade of the security to protect the sensitive data. The data security they provide is comparable to the ones provided by global institutions. If you trust your money with the bank then you can surely trust your data with Voluum as they have similar security protocols. Voluum is tracking campaigns worth $2.5 Bn annually and is growing as we speak. This implies that the campaigns and processes are easily scalable. The strong database allows Voluum to process data at lightning speed. They have integrated AI and machine learning technologies. When a good amount of data is processed, most of the activities can be automated because the AI systems learn and make patterns depending on the history of data processed. One major drawback of most tracking software is that they only have a desktop or cloud version. Voluum provides an easy way for marketers and agencies to access all the campaigns details on the go. This can be done by downloading their mobile application. It is available for both Android and iOS devices. Voluum describes their software to be useful for the following three targets. Affiliates: This is surely very useful for affiliates. However, if you are new to affiliate marketing, you certainly do not need a tracking tool on this scale. Learn the nuances of this industry before you invest in a tracking tool. This tool is perfect for medium to large scale affiliate marketers who are running a good number of campaigns. Performance Agency: As a performance agency, a key goal of your organization would be to optimize the campaigns of your clients. Voluum is that perfect tool which can help you with the optimization of campaigns. 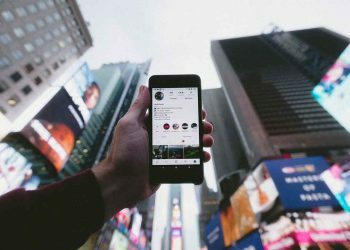 This will be very useful to such agencies because they generally handle large-scale campaigns which deal with a lot of data. In order to make decisions based on real factual data, tools like Voluum can be of great help. In-House Media Buyer: There is a lot of junk traffic in the current market; in order to stay ahead of the competition you must provide the best of traffic to the client. Using Voluum, one could crunch through a lot of data and take some decisions. Voluum is certainly not among the cheap tracking software. They do have a wide range of plans. They have three standard plans and one custom plans. 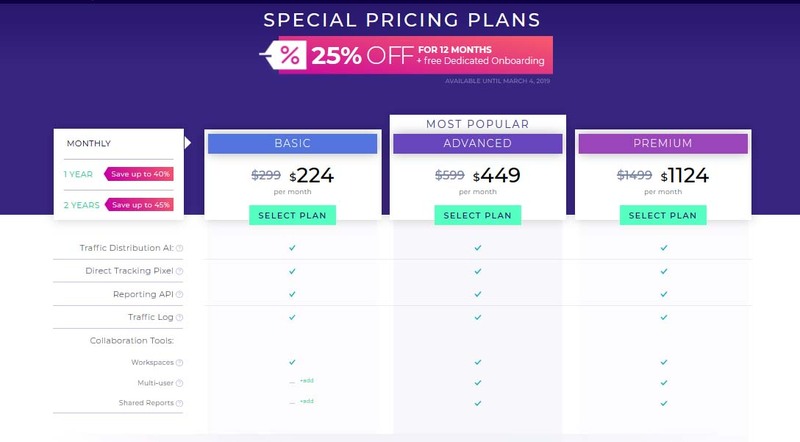 The standard plan begins at $244/ month and goes up to $1124/ month depending on tracking requirements. One can also go for the custom plan when they have very specific needs. You even have the flexibility to pay the money monthly or annually. The picture below shows their pricing policy in detail or check pricing details here. Voluum has all the features which are to be desired from a CPA tracking tool. It provides some of the best in class features at a very competitive price. The ease of use of this tool and the UI design is also a great plus for this tracking software. 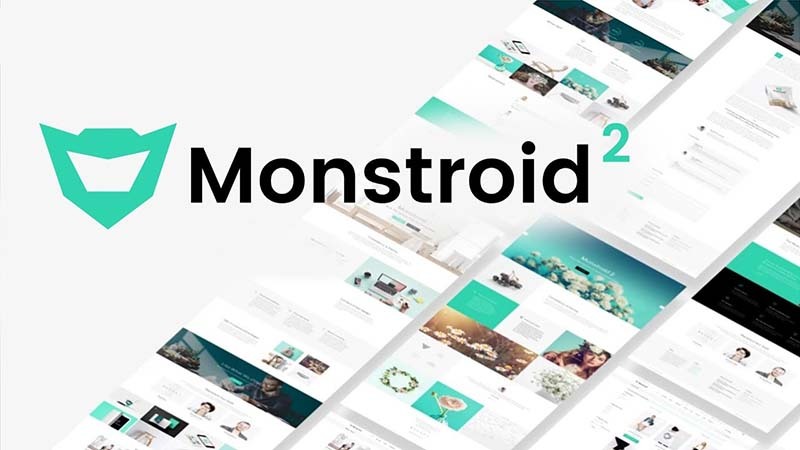 Looking into the overall performance, this tool is a must-have if you running a good number of campaigns or running a performance agency or a Media buying company. I personally have used Voluum & I would recommend to take up the 7 Day Free Trial to figure our the tool yourself. 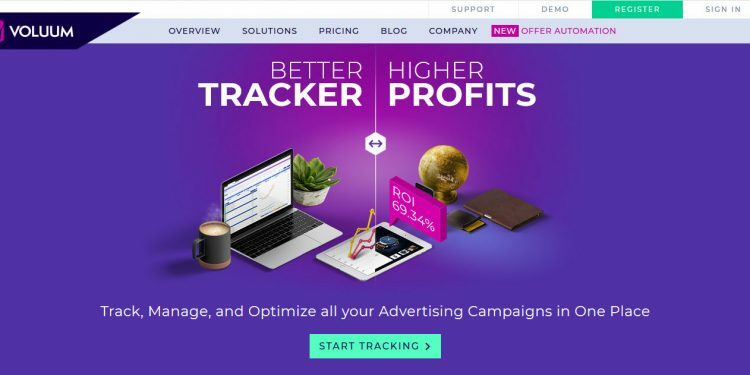 Voluum is an end to end CPA, CPM, CPC campaign tracking tool. This is very useful for anyone who plans to run CPA or any other advertisement campaigns. Their key targets are product owners, agencies, affiliate marketers, and bloggers. They have an intelligent tracking system which provides the best data processing. Users can make critical decisions regarding their campaigns based on the data. You do not need to be worried about the data safety as Voluum is backed by high-grade encryption. Voluum is accessible on cloud and can be used anywhere, anytime.